Shake up your same old coffee routine and explore some of the lesser known and new-to-you options around the city. 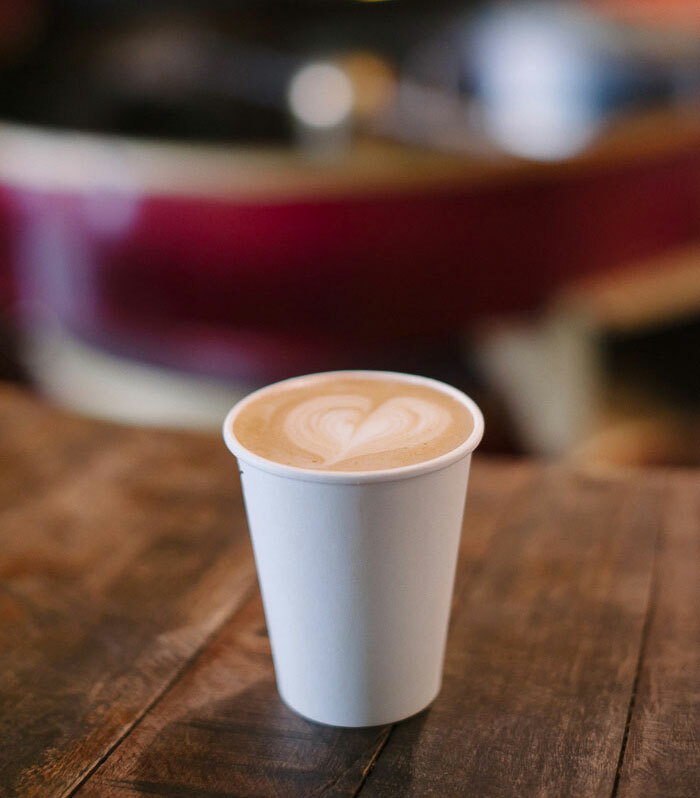 Here I’ve compiled a comprehensive list of Charlotte’s traditional cafes, small-scale coffee bars in multi-vendor venues, and counter service bakeries and restaurants with full espresso bars. I’ve also got a roundup of 8 more coffee concepts (from a coffee and banh mi shop to a roaster-brewery combo) that will hit the scene later this year. This slick, minimalist shop is slowly taking over the Charlotte coffee scene with three prime locations and a fourth on the way. Food: Assorted baked goods from Whisk & Wood and Megan Forbes. The HQ location has an expanded food menu with parfaits, avocado toast, etc. Notes: If you get coffee at NJC and don’t Instagram it, it didn’t happen. This traveling espresso bar found a permanent home inside Good Bottle Co. No one’s complaining about the combination of beer and coffee. Notes: In the summertime, the HEX Shandy (pictured below) is a required order — lemon juice, mint, simple syrup and cold brew. Trust me. This clothing boutique + cafe combo features an unexpected pour over coffee bar in the back of the shop where they serve up coffee, tea and homemade sweets. Try an alcohol-infused cupcake. Bypass Starbucks in favor of this local option at SouthPark Mall. 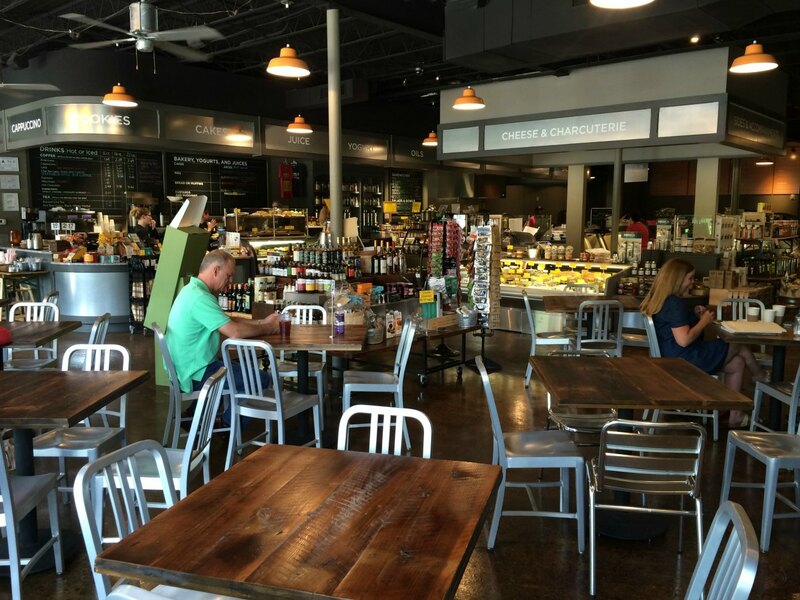 They’ve got a few bistro tables so you can recharge and keep shopping. Notes: Find it inside Belk. Mall employees get a discount. For great coffee and service, stop into Dilworth Coffee on the main level of Belk in South Park Mall in Charlotte… See you soon! 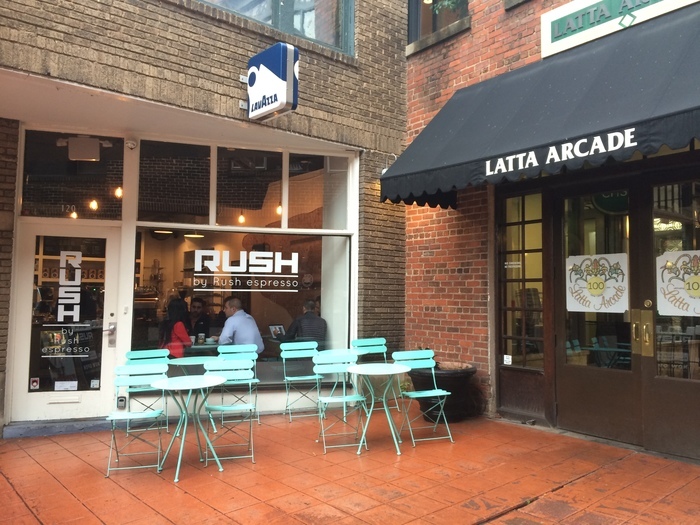 Charlotte’s OG coffee shop expanded with a second location in South End earlier this year. 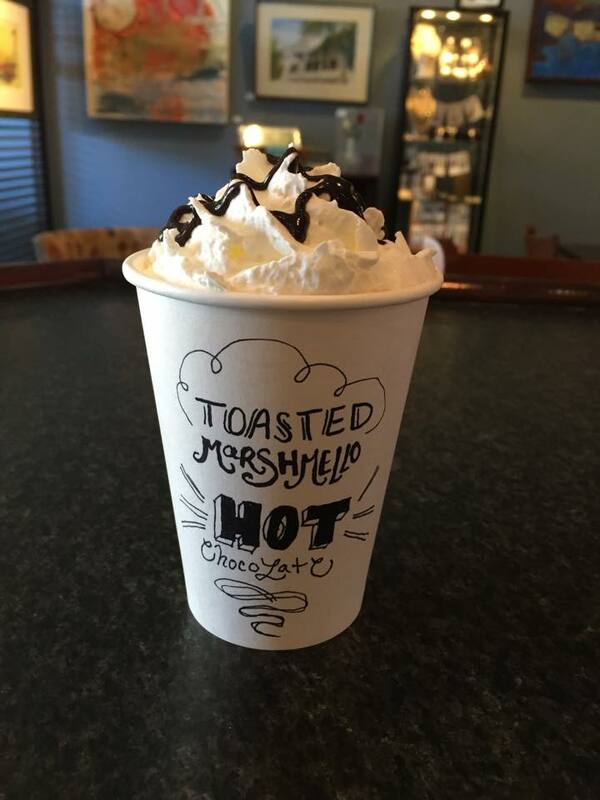 Get a Central Shorty, owner Jimmy Kleto’s signature 6-ounce latte with a hint of vanilla. 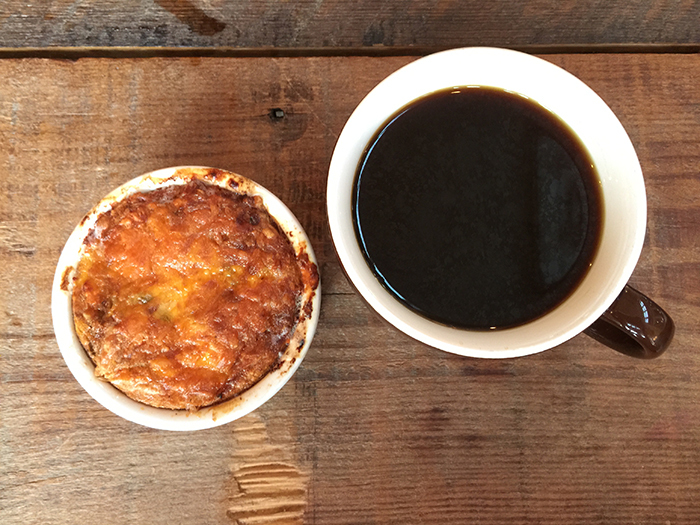 Notes: The quiche will change your life. It’s wine by night and coffee by day at this cafe on the ground floor of The Vue. 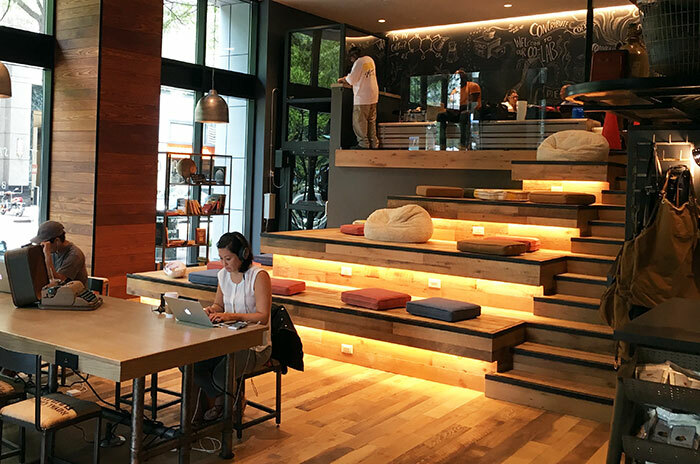 Notes: Lots of hightop counter work stations if you want to bring your laptop. 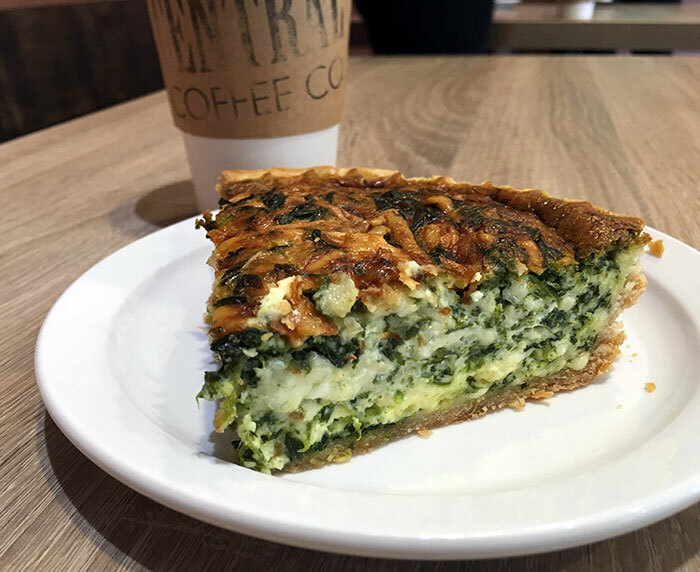 Food: The Uptown location is limited to assorted baked goods but the Ballantyne location has a full kitchen serving breakfast, lunch and dinner. Full Menu. Notes: The Uptown location (pictured below) is tucked away in Brevard Court. You’ll miss it from the so just follow the brick path. Notes: Find it inside the Marriott. Yes, people really do sit and work on the glowing staircase. This nonprofit, donation-based coffee house is located inside Caldwell Presbyterian Church. Notes: Instead of setting menu prices, they accept donations. This cozy neighborhood cafe is a popular gathering spot for different social groups. 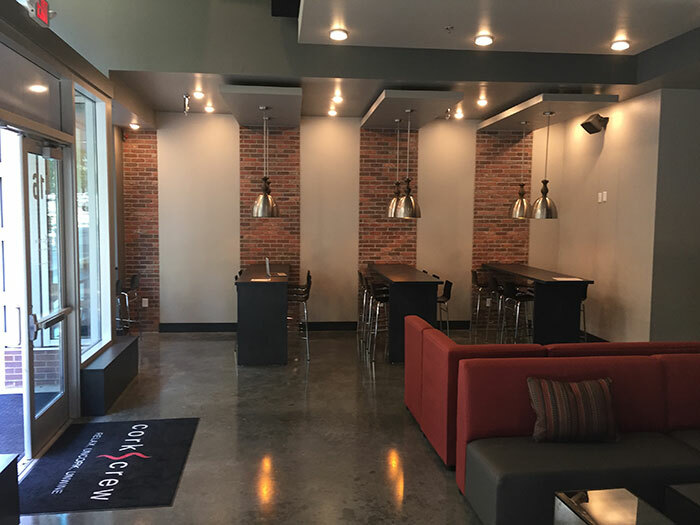 They’ve got ample seating so you can settle in and get work done or bring a crew and socialize. Notes: Check out their events for knitting groups, game nights, poetry slams and more. 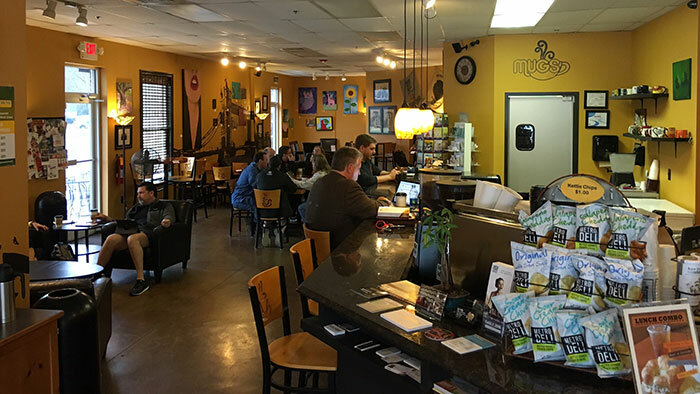 This is a cozy coffee house with eclectic decor and an in-house roaster prominently displayed front and center. Notes: Don’t miss their iconic “Be cool. Drink coffee.” mural on the side of the building. Prime photo op. 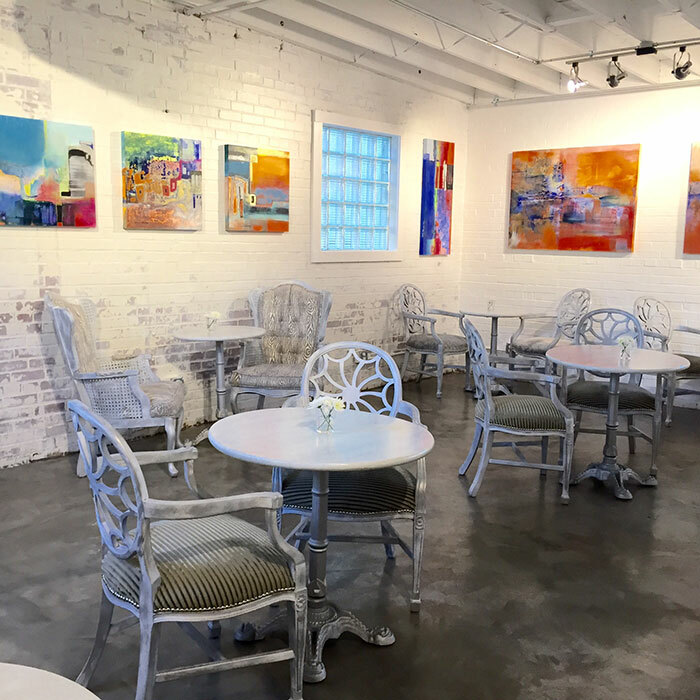 This cafe doubles as an gallery featuring local art and evening art classes. Food: Locally made muffins, scones, cookies, etc. Notes: Check out their $30 watercolor classes. Although they’ve got a full espresso bar, it takes a backseat to their insanely good baked goods. Food: Full bakery with muffins, scones, biscuits, cupcakes, cakes and more. 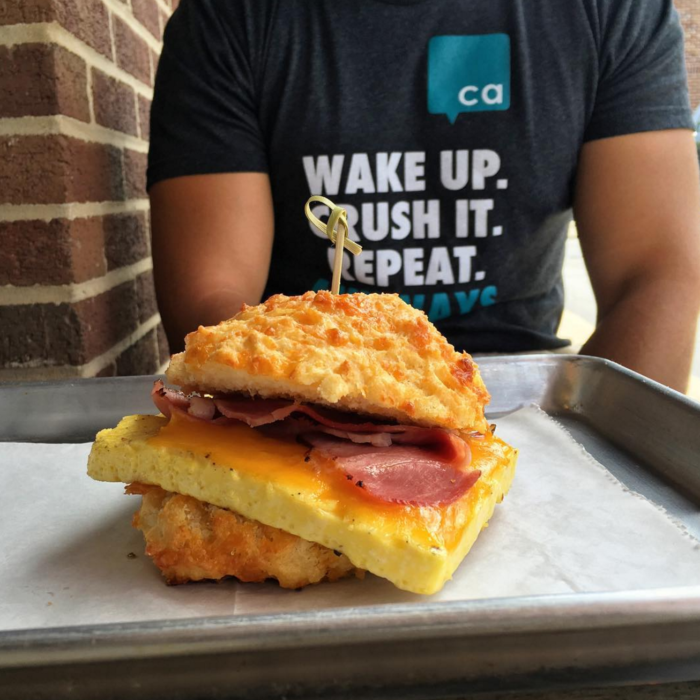 They also have breakfast sandwiches and soup. Notes: The cheddar biscuits, flaky croissants and monster cinnamon rolls are major crowd pleasers. Don’t sleep in on the weekends. They’ll sell out. Caffeinate for a cause. 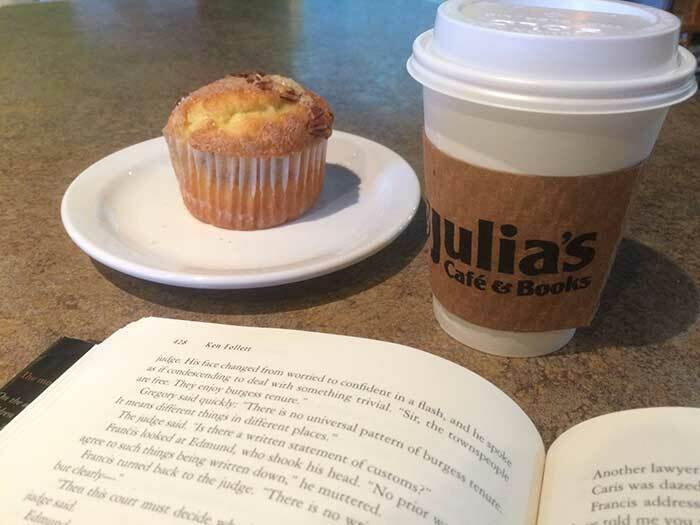 This cafe and bookstore raises money for Habitat for Humanity. Win, win, win. Notes: Save time to browse the budget-friendly used books. 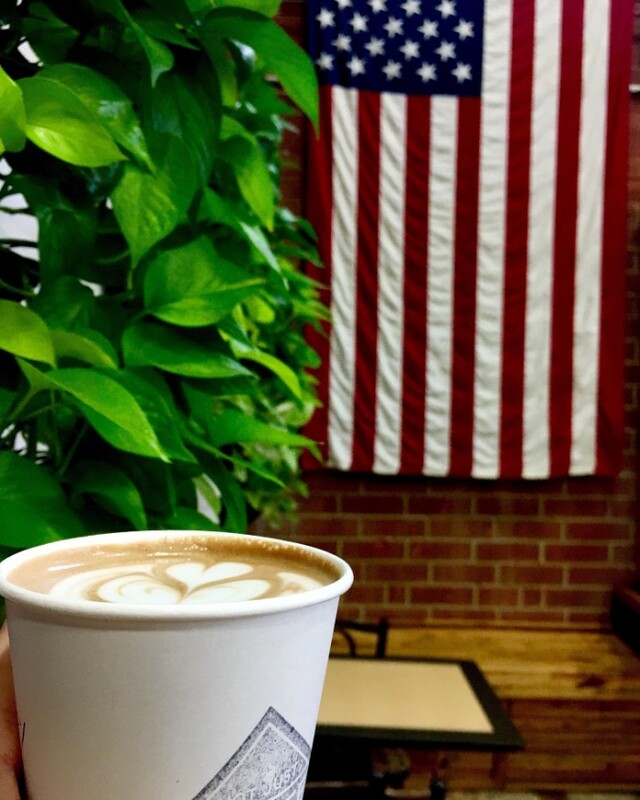 Students and teachers at UNC Charlotte and CPCC created Cafeccino as a way to teach students the fundamentals of running a business. 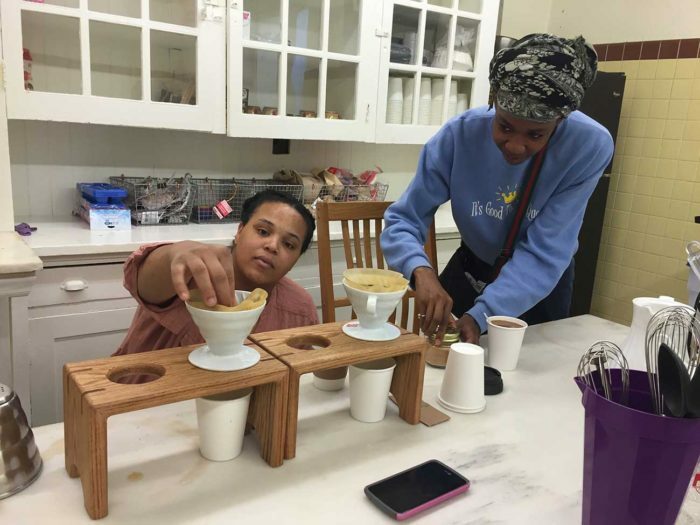 Notes: Check out their hands-on latte art classes. The flagship location (Villa Heights/NoDa) is open 24/7/365 making it a popular late-night hangout and study spot for students. Notes: If you live south of the state line, they’ve also got a location in downtown Rock Hill. 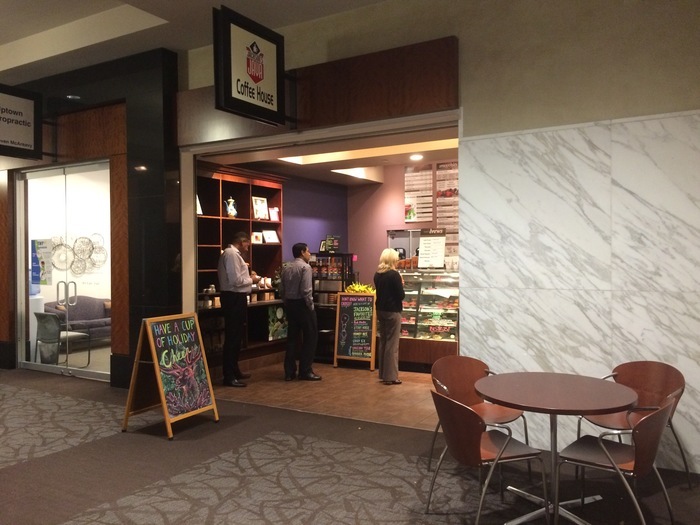 Bankers get a quick caffeine fix at this local alternative to Starbucks located inside Wells Fargo. Notes: You’ll find it inside One Wells Fargo at the top of the escalator. 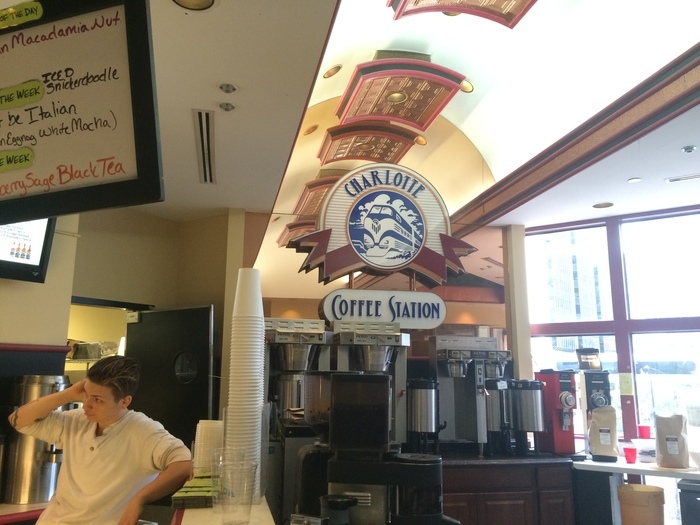 Uptown bankers get an afternoon pick-me-up at this coffee shop inside Three Wells Fargo. Notes: You’ll find it inside Three Wells Fargo on the ground floor down the hall that leads to The Green. 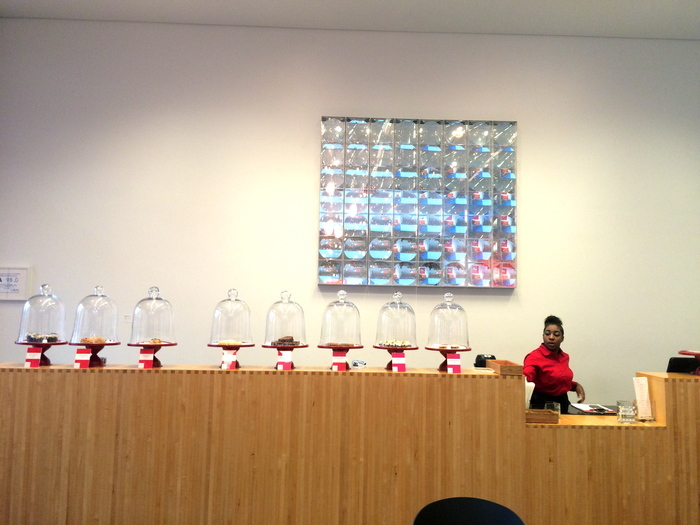 The cafe at the Bechtler Museum of Modern Art is a hidden gem in the Uptown coffee scene. Food: Baguette sandwiches, tartines, salads, quiche. Full Menu. Lady M is a coffee shop, wine bar and cafe serving up exquisite cakes. You might remember it as The Gallery but it recently rebranded. Notes: You have to try the mille crepes, layers of paper-thin crepes layered with pastry creme to create a cake. One of my favorite non-office places to work. Plenty of seating, lots of food and big garage doors that open up on nice days so you don’t feel like you’re working. Food: Prepared deli foods, breakfast sandwiches, grit bowls, grain bowls, salads, baked goods. Full Menu. 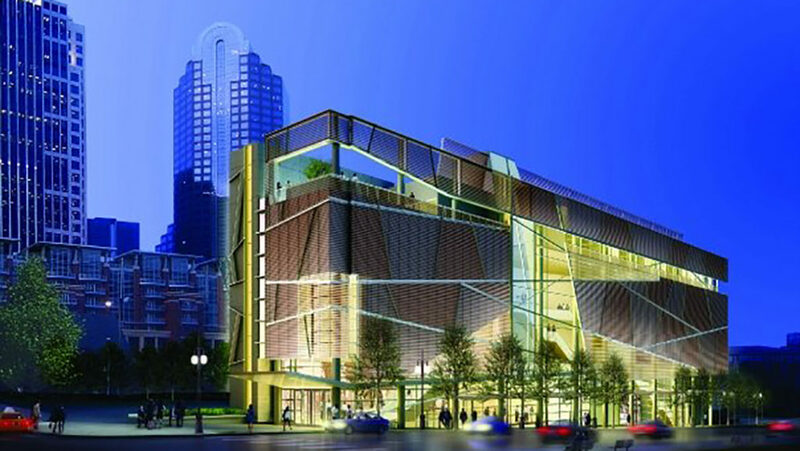 This is a popular office away from office for people looking for flexible work space. Food: Chicken salad, soup, sandwiches, skillets, frittatas, etc. Full Menu. Notes: Try to fight your way to the cowhide chair. 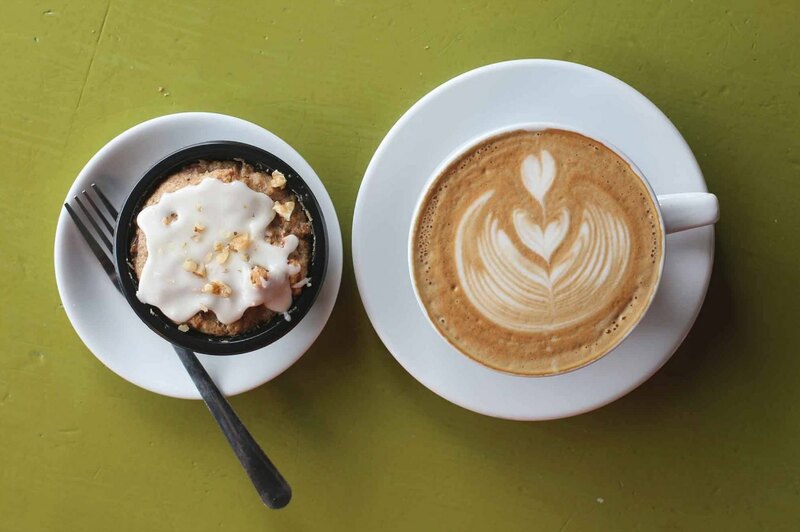 Undercurrent Coffee – A new cafe coming to Plaza Midwood. Read about it. 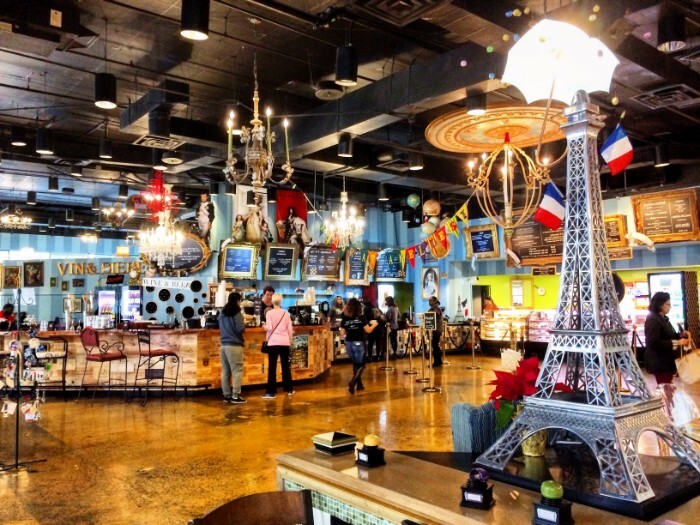 Amelie’s at Park Road Shopping Center – They’ll be adding a location in the Back Lot. Read about it. 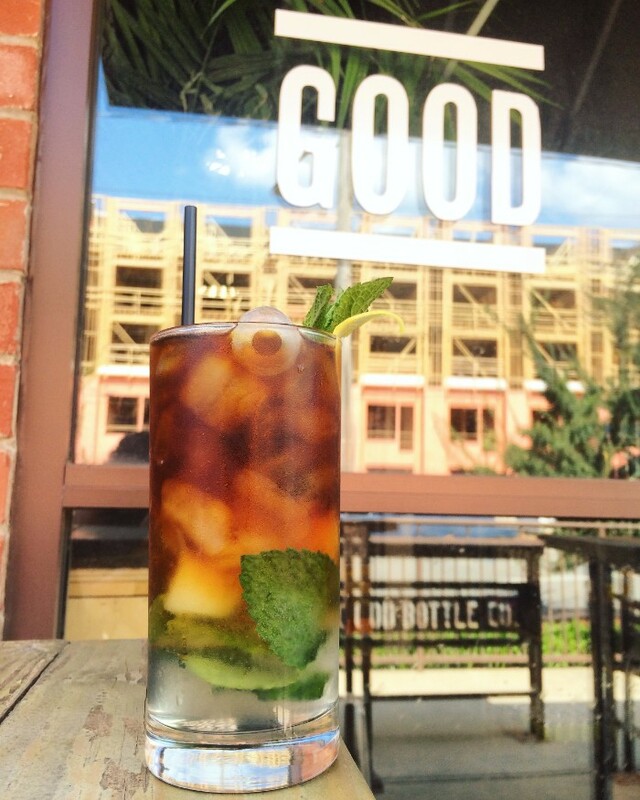 Waterbean – A coffee and banh mi shop coming to N. Tryon. Read about it. Hyde Brewing – A culinary cafe, coffee bar, fermentation lab and craft brewery. Read about it. 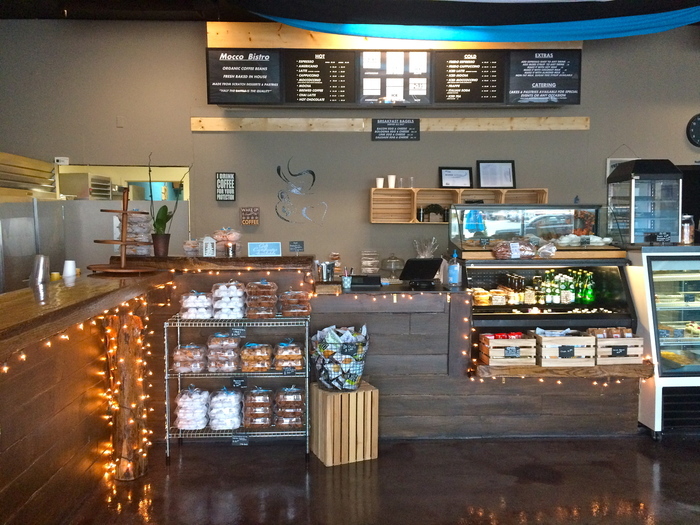 South End Grind – A coffee bar inside Urban MVMNT. Read about it. Dilworth Tasting Room – This new wine bar plans to roll out coffee service later in 2017. Read about it.